Printing Machine Spares > Used both for automatic & mechanical cleaning. Printing Machine Spares > Good wetting of the roller and blanket surfaces. Printing Machine Spares > No residues left. > Safe to use & safe to store. Printing Machine Spares > Good chemical compatibility with UV resistant rubber. Combi Wash Cosmic > High flash product. Printing Machine Spares Conventional resistant rubber rollers and blankets. Flexo Wash Flexo Wash > Product of choice for flexo printing. Printing Machine Spares > Low consumption & human friendly. Printing Machine Spares > Effective prevention of foam . 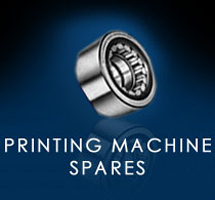 Printing Machine Spares > Available for sheetfed, coldset & Heatset. Printing Machine Spares and inking unit. > Faster wetting of plate . Printing Machine Spares > Increases viscocity of fountain solution. Printing Machine Spares evaporation. > Less ink build up on dampening rollers.